If we had come here first, like everyone else looking to explore the romance of Rajputana, maybe, just maybe, we would have liked Jaipur better. But as it is, we came here from Jodhpur, and Udaipur before that, and we perceived a more jarring urban version of the famed Rajput culture and hospitality. We missed the gracious greeting with bowed head and hand on heart, and the soft spoken grace and warmth that we had come to expect. 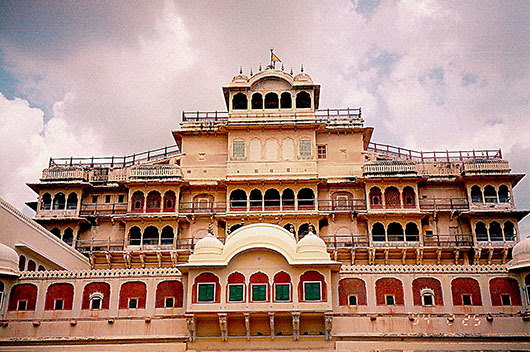 Rajasthan or the ‘land of the kings’, epitomises everyone’s fantasy of India. Even ours! The land of hilltop forts and ornate palaces, of legendary kings and bejewelled princesses, of camels and elephants and colour….most of all brilliant vibrant colour. The kings have been reduced to wealthy landlords, after their royal entitlements and privy purses were abolished. But they still command fierce loyalty from their former subjects. Founded in the 17th century by Maharaja Sawai Jai Singh II – hence the moniker – Jaipur is the gritty, bustling capital of the state of Rajasthan, and the gateway to this fabled region. This is one of the few Indian cities built to a plan. Laid out in a grid apparently based on the ancient architectural treatise of ‘Shilpa Shastra’. Wide, straight avenues divide the city into sectors, nine in all, reflecting the nine divisions of the universe according to Indian astrology. Each sector was dedicated to a commodity and named after the caste that traditionally traded in it, based on the rigid caste system. The street and market names haven’t changed, and the caste system has – at least on the surface -been abolished. But Jaipur’s congested, filth strewn streets are far from the orderly place its founder envisioned. Jai Singh II ascended the throne of Amber at 13, and his clan’s astute alliance with the Mughals was rewarded by Emperor Aurangazeb, who bestowed upon him the title ‘Sawai’, meaning “one and a quarter” with reference to his exceptional intellect. His descendants claimed the title as part of their hereditary inheritance. The present ‘king‘ is yet another minor, the 13 year old grandson of ‘Bubbles‘ (after the gallons of champagne that flowed to celebrate the birth of a male heir in 100 years since 1835!) Bhavani Singh. He too died without a male heir, the little boy being the son of his only daughter and anointed ‘king’ despite accusations of foul play by his stepbrothers. 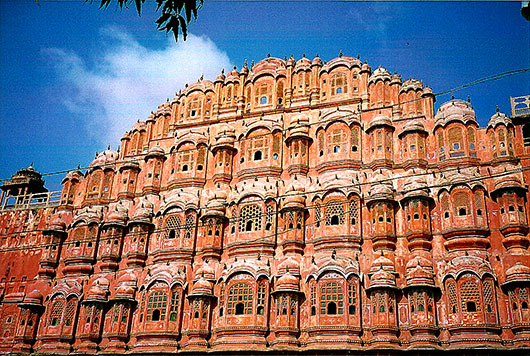 Jaipur has its fair share of fabulous landmarks, the old royal residence at Amber fort and the City Palace in particular. And splendid crafts like hand block printed textiles, the exquisite uncut-diamond encrusted Jadau jewellery and much, much, very much more. But for the incurable romantic that I am, the defining symbol of Jaipur and Indian royalty can only be the pearl and chiffon clad Rajmata (Queen mother) and last Maharani of Jaipur, the gorgeous Gayatri Devi! The princess of Cooch Bihar and third wife of the last reigning king (before abolition of monarchy in 1971) Sawai Man Singh II, Gayati Devi was a stunning beauty who was celebrated by Vogue in her prime as one among 10 most beautiful women in the world, and who dared to reject the purdah, mandatory for royal ladies of the time! Their romance and lavish lifestyle is the stuff of legend. Her win, by the largest margin against the ruling party candidate, in the 1961 elections ensured her a place in the Guinness Book of Records! The feisty dowager continued to ruffle feathers, including her stepson the king’s, right up until her death in 2009 at the grand old age of 90. 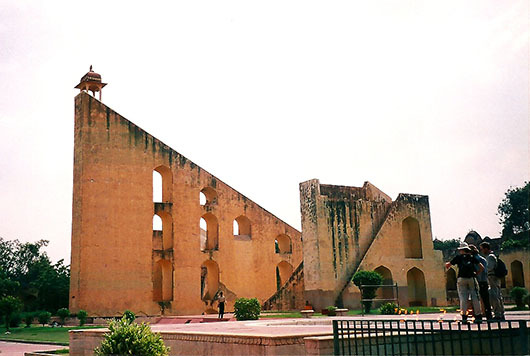 The most striking instrument in the Jantar Mantar, the astronomical observatory built in the 18th century and now a Unesco World heritage site, is the ‘Brihat Samrat Yantra’ which is supposedly the largest sundial in the world. 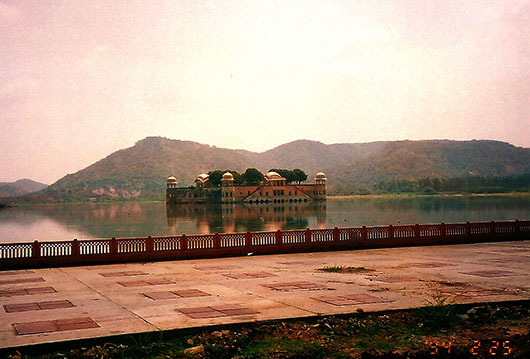 Jal Mahal (meaning “Water Palace”) is a palace located in the middle of the Man Sagar Lake. This image was taken before it was restored. Great shots and wonderful telling of the history. I cannot imagine living in a country of such history and beauty. The US is a very young country without the grand monuments and palaces, etc., so prevalent in India and around the world in ancient societies! This was a beautiful series. Such an interesting post about indian kingdoms and the Rajahstan. It must be a wonderful and exciting place to visit. It is and there is so much I myself have not seen. Rajasthan is large and the neighbouring states are equally interesting. This was my least favourite of all the places that I did visit actually! Jaipur is just glorious! Feel like to know more about Gayati Devi lavish life, great story. Thank you, Madhu! Hers was a real life fairy tale! And those looks helped exaggerate that aura 🙂 Thanks Amy. WOW! So many patterns. WOW! The designs are just WOW. 13 year old for a king!? So when the adults kneel down, they get level with the kid? Hehe. I love the interesting magical number 9. I love the vibrant colors of the dusty road and archway of Rajasthan, the largest silver object in the world used to carry water from the Ganges, and of the feisty dowager Gayati Devi . You’ve captured a lot in just a few photos. A beautiful place with wonderful history. 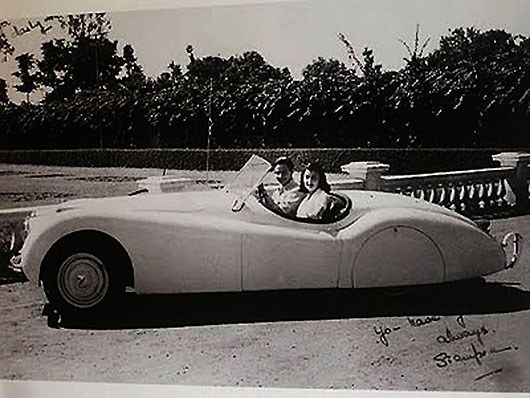 Beautiful post Madhu – you are right, Maharani Gayatri Devi was gorgeous! It also brought back memories of my dear Dad, who served in the Rajputana Rifles, and always regaled us with stories of India’s glorious past. Those were good days…. He must have had a few tales to tell! Yes despite their excesses, Indian royalty still evokes nostalgia for its glorious past! Thanks for reading Shaantz. Thank you! Yes these images aren’t too bad. Just have to find the time to convert the rest. Did you visit Jaipur a long time ago? Fantastic post about the place as always. Very informative and wonderfully written. Incredible history. Thank you for photos of a place I would otherwise not see, it is all so beautiful. Thank you Gilly, I thought you might like this 🙂 It was your post – like the Caravanserai earlier – that sent me scurrying to look for these old photos! I learned a lot from reading this, Madhu. The photos are lovely, as always. You are most welcome AD! Did this post ever bring back memories! 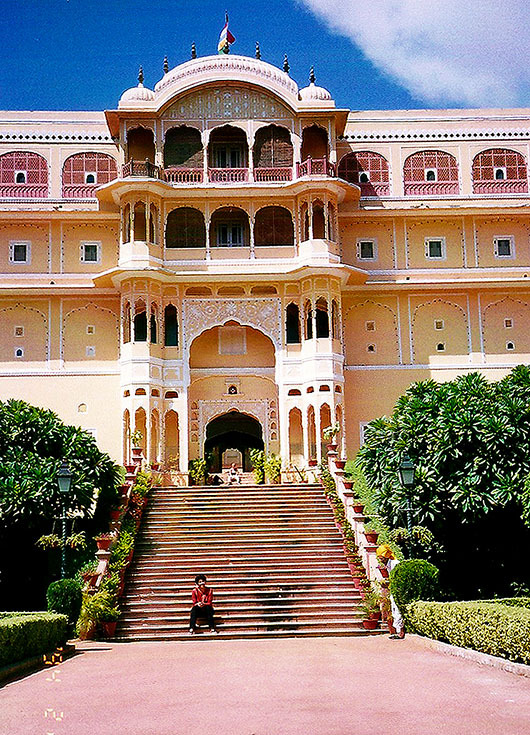 Our arrival in Jaipur was similar – heaving and bustling and people falling overthemselves to drag us into a taxi. All we wanted to do was walk to the nearest tourist bungalow and fall into a haven of peace and tranquility. PS Appreciated your warning about the bullfight, so didn’t comment on that post. Looked at the early piccies – but went no further. Although having said that, on roughseas, I posted the pic of Juan Carlos with his dead elephant trophy because I was so annoyed. I guess it depends on our reasons for posting and what value a shocking pic adds to a post. Sorry o/t but I didn’t want to read the end of the other post. Mine wasn’t all that shocking, We left before the kill. But a lot of people don’t want to have anything to do with stuff like this, hence the warning. No Jaipur isn’t any different 🙂 Even the museums run by the government were in worse condition than in the other cities, where the erstwhile royal families manage them! Tourism isn’t high priority with our government obviously. Yes Gayatri Devi was an incredible woman. She cared two hoots for what society thought of her and that was her allure 🙂 Isn’t it always? I love the historical background. It sounds such a fascinating city. All of Rajastan is Denise, more so than Jaipur. Haven’t been to all those places myself! I would love to go to the north of India….I have only been to Bangalore, Mysore and Goa, which were great, but I want to see much more of India. You would love it Debra. Rajastan is the most tourist friendly in all of India. 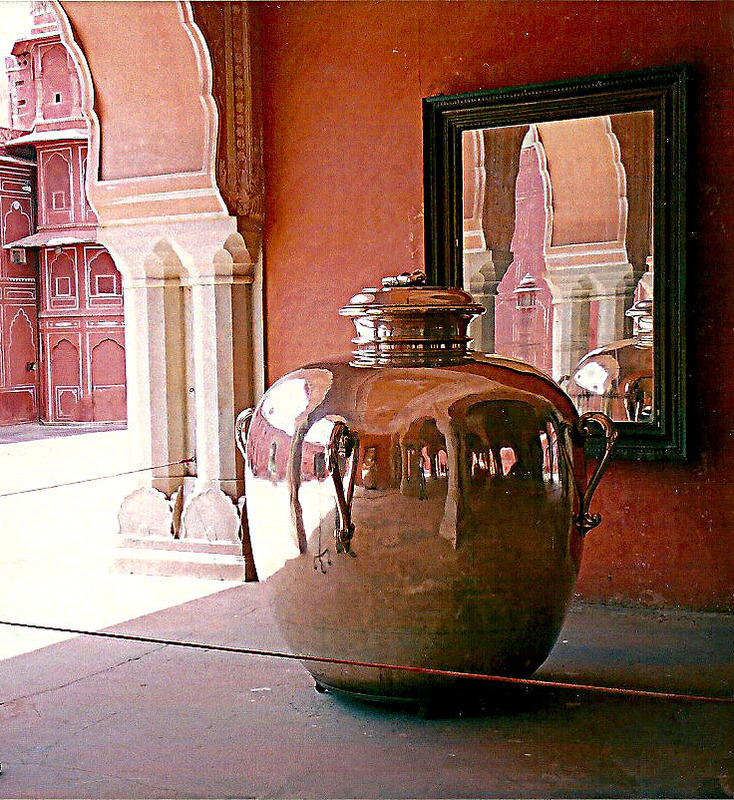 – thank you for your great article about Jaipur! 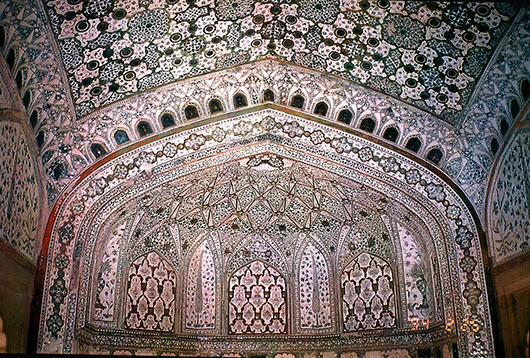 A fascinating post Madhu – I recognise many of your photos and was fortunate to stay at Samode Palace (blogged about it here http://wp.me/p1tbVN-ek) We only had a few days in Jaipur – I’d love to re-visit the city one day. Wasn’t Gayatri Devi an inspiration! Loved your account, Suzanne! We stayed in the Ajith Bhavan Palace and just went to Samode for lunch, but we were given the grand tour as well. Also of their fabulous tented accomodation in Samode Bagh (garden) farther up. You are most welcome Coreen! Thank YOU for the visit and comment! If I had to pick only one Indian state to visit, it would definitely have been Rajasthan. Jantar Mantar, Hawa Mahal, Chand Baori, Udaipur, Jodhpur, Jaisalmer, oh so many intereting places in only one state. Absolutely! And I myself haven’t been to all of them! Mille grazie Popof 🙂 Happy you enjoyed them! Your photos and text are reminders of an era so rich with history, mystery,and romance .One of these places I must see for myself. Lovely. And Jaisalmer and Bikaner and a horde of smaller towns 🙂 I need to see them too! Felt nostalgic while enjoying each of the beautiful pictures. Yes the Maharani’s grace and beauty are legendary! Thanks Madhu for sharing your travel experience. My pleasure Dilip 🙂 Regards to you too, have a great week! What can I say? Thank you for the experience of enjoying your work! Beautiful pictures. You captured the opulence and romance. I’m not sure everyone could do that as elegantly as you did. Aww, you are too kind 🙂 Thank you so much! Another wonderful post! Always your commentary is wonderfully clear and informative, but I most enjoy learning about India. India is unknown to me, so I find this post very interesting. Great photos to give more weight to the text. It was on New Year’s eve, several years ago, that we set about on a road trip to Jaipur and Ajmer… My memory is hazy now… But the names and the images brought back memories 🙂 Great post…. When you have a moment, Google and read the article Adam Sachs | The accidental Indophile. Quite funny too! TY! Rajasthan is a place I would love to visit one day. I loved these pictures. It’s wonderful that so much of history is attached to this beautiful land in India. 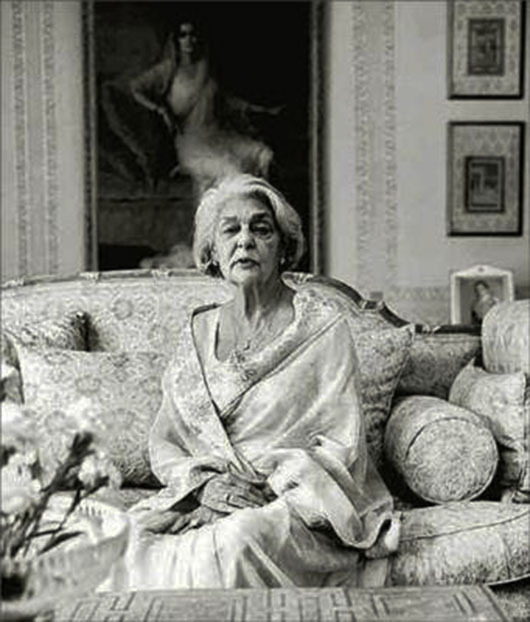 I was not even aware that Gayatri Devi was one among 10 beautiful royal ladies in her days. Great post. That was much before your time Arindam 🙂 Thank you! Another treasure out of you ! I have never been to India – cannot wait to one day step foot into your earth ! It is a shame being half Indian , I have not even visited this dynamic country ! And, when I do, you and I MUST meet – what joy would that be!! 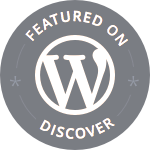 May your lens continue inspiring the world with such prolific posts from you ! Love ya Madhu !! I love the bits of history complemented by the beautiful pictures. India is so beautiful and diverse. I enjoyed your wonderful and interesting photo tour, again! You are a great storyteller. I too had always romanticized Rajasthan and finally went last year. We did the exact same route. Udaipur, jodhpur and jaipur. I still want to go back and explore more!